Want the perfect way to incorporate your beloved pet into your big day? Look no further. 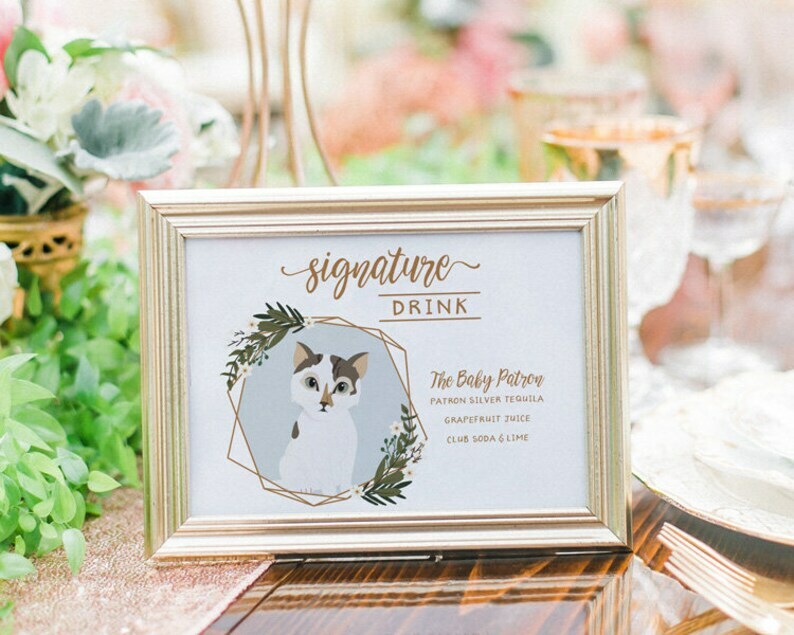 A fully custom pet portrait illustration in the form of a signature drink sign. We loved how this turned out. It was the perfect way to incorporate our pup into the wedding.